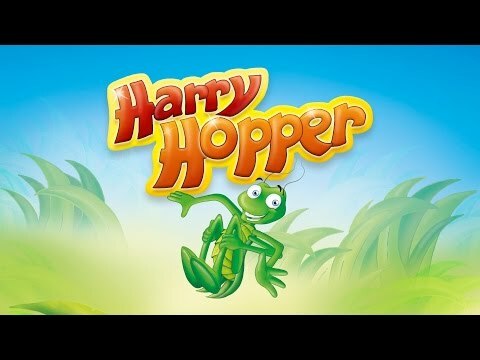 Jump into the fun with the Harry Hopper game of accuracy and skill! Hop, Hop, Hurray! 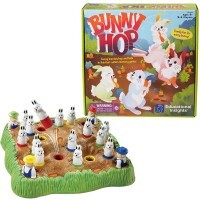 Harry Hopper Action Game by Thames & Kosmos is a great action game for preschool and older kids. 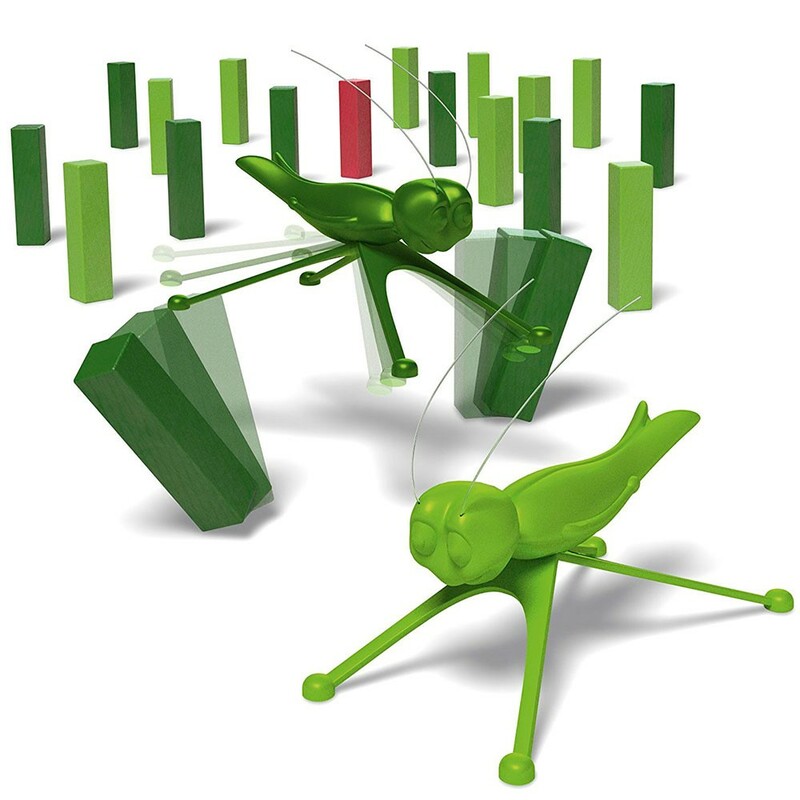 Two teams of grasshoppers are both trying to knock over all of their blades of grass. Take turns making your grasshoppers hop toward the blades of grass. It takes a lot of skill to aim and launch them accurately! The team that knocks over all of their blades of grass first wins! 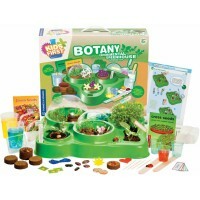 Educational Toys Planet's game set features 19 wooden blades of grass (9 light green, 9 dark green, 1 red), 2 grasshopper figures (1 light green, 1 dark green), fabric storage bag, and game instructions. 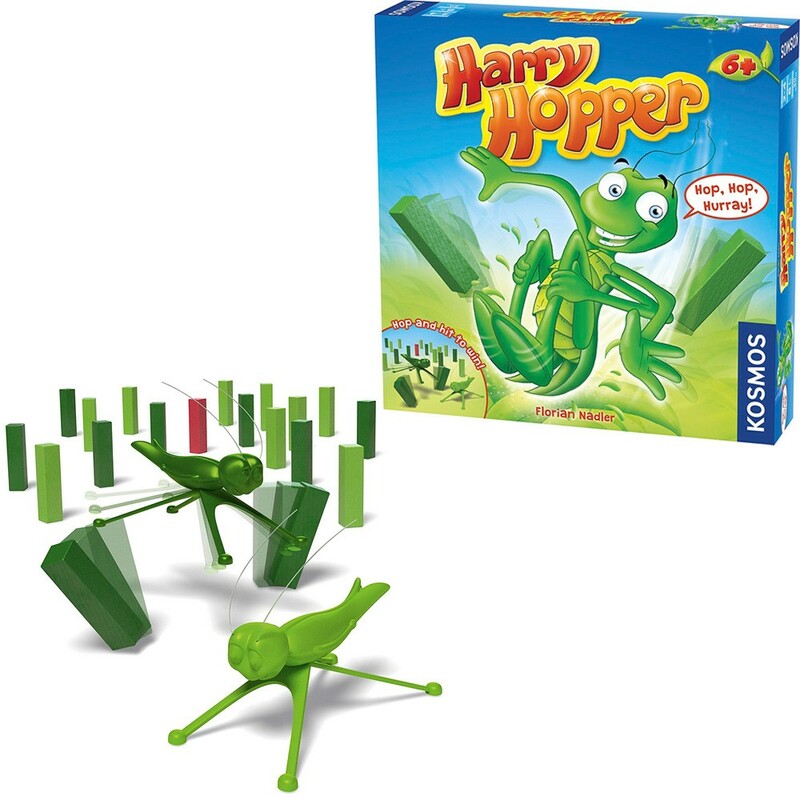 Harry Hopper is a fun, active game that helps kids practice their gross motor skills, hand-eye coordination skills, and manual dexterity. Dimensions of package 2.4" x 10.5" x 10.5"
Write your own review of Harry Hopper Action Game. 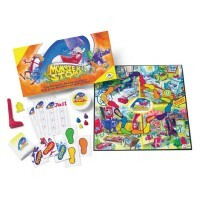 Rating: 4 Solid 4 star fun game by By A customer For my family this is a solid 4 star game. My 10 yr old and I had a good time playing 10x in a row when we opened it. The 5 yr old who it was bought for watched, laughed and cheered us on. Its by no means going to blow anyone away and toy of the year is a stretch, but its good fun for ~$10. 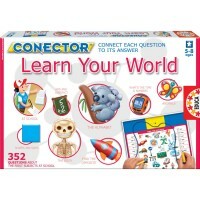 Rating: 5 Well made, simple, kids like it by By A customer This is a cute game that my preschooler enjoys playing and wants to return to over and over again. The object is fairly simple, but the pieces are well made and sturdy. The blocks are wooden.It can take some practice for little hands to flick the grasshopper, but it's great for hand strength and motor development. I would recommend this game to parents of preschoolers. 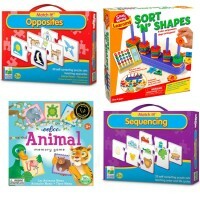 Rating: 4 Good simple dexterity game by By A customer This game is a hoot! I enjoy a lot of more complex and involved dexterity games (Ascending Empires, Cube Quest, Catacombs, Flick 'Em Up, stuff like that), so this is a nice light companion game. It is very simple, though, so it's not a game night main event or a play-it-all-the-time title.It *looks* like it's aimed at very small children, but IMO it's more appropriate for older kids and adults. Launching the grasshoppers with any sort of aim is pretty tricky. 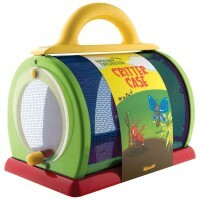 Little ones may get frustrated. Also, if you don't treat them with a little gentleness, they may wear out. 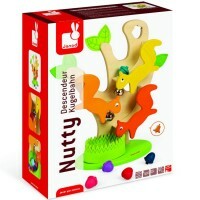 Rating: 4 fun game, needs a lot of hard floor space to play by By A customer This is a fun dexterity game. 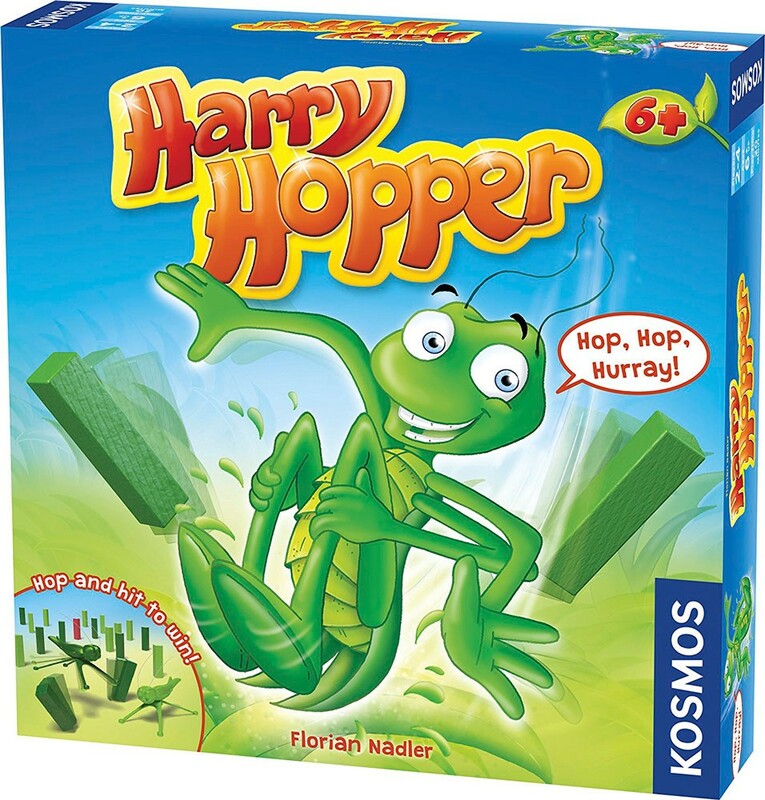 You set wooden sticks (grass blades) on the floor, and try and knock grass of your own color down with jumping grasshoppers. It is quite tricky to aim and to get those blocks, the grasshoppers are large and they can jump far. It is practically impossible to play on the table because you would need a huge table for that. You need hard floors - it is hard to set the blocks on caret, they fall over without you even trying. The game is fun and loud. You can play with two persons, or you can have more people and divide them in teams to operate their grasshopper. Rating: 5 Great for thr 5 to 8 year old range by By A customer My niece loves this. It's such an interesting game!! Rating: 4 Easy for kids to understand; a slight pain to set up by By A customer This does require a relatively large(ish) flat space to stand up the green Jenga-ish blocks (blades of grass up). Set up is a little irritating, especially if you tend to be clumsy and knock things over. Rules are super simple. 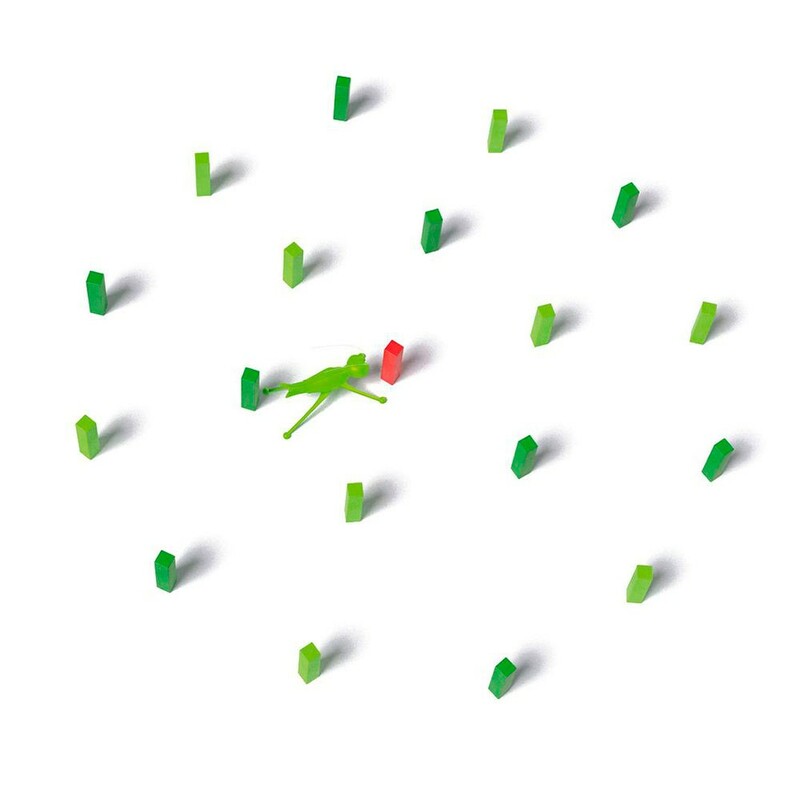 The first player to knock over all of their grass color (dark green or light green) (or have the other person accidentally knock them down for you), and hit the special red blade of grass wins. 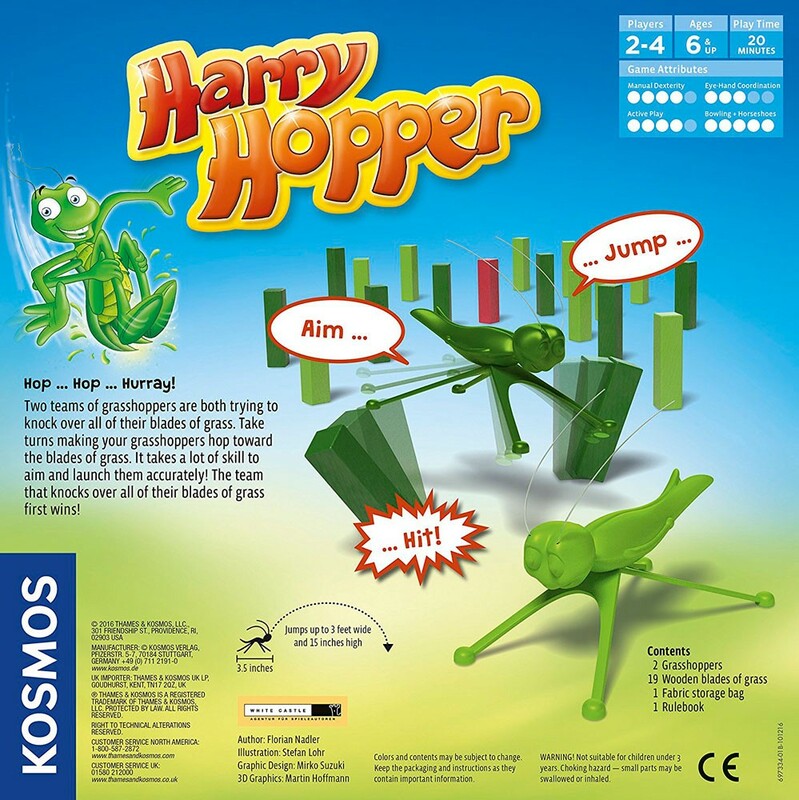 The grasshoppers have a jumping action that kids LOVE. Not a lot of strategy, but fun enough for a 10-15 minute diversion. Easy enough for a 4 year old to understand. Rating: 2 Two Stars by By A customer Poor construction, returned. 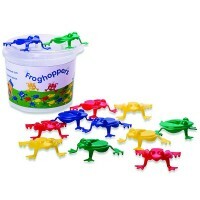 Rating: 4 Not the best quality/kind of boring by By A customer Pretty fun concept, kids like it but get frustrated easily with the grasshoppers. They dont really aim/jump right. Not the best quality game either. Rating: 3 It was not very durable for the age group that ... by By A customer It was not very durable for the age group that it is for, they broke the first one within minutes. Rating: 4 Easy to set up, fun for the family. by By A customer Overall, this is a fun game. 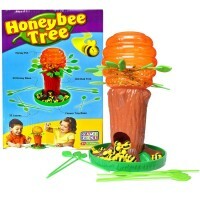 It's not the kids' favorite, nor mine, but I do enjoy playing with them, and it's quick and easy to play. The only con is in setup - it does take a while (like dominoes), and the kids sometimes knock them over and have to start again. The pieces can fall down easily but any adult can set it up - or our 6 year old doesn't have much issue either.